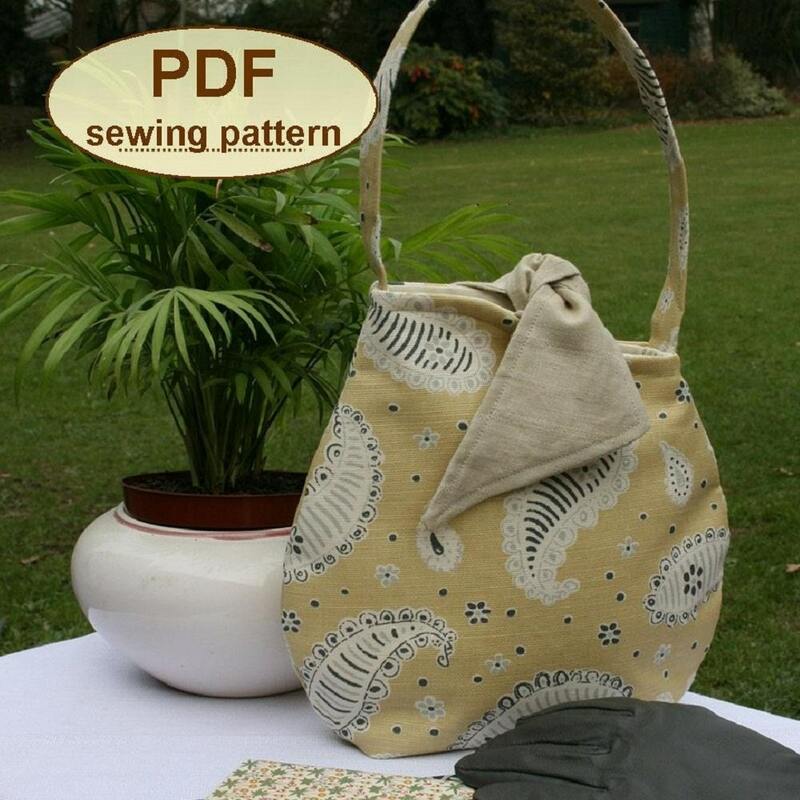 Inspired by the styles of the 1950s, this PDF SEWING PATTERN is for a simple ‘vase’ shaped bag with elegant curves, a plain handle and an optional front pocket which doubles as an interior pocket template. One of the Charlie’s Aunt Utility Range of easier patterns, the PDF also includes a template for a top tie bow. 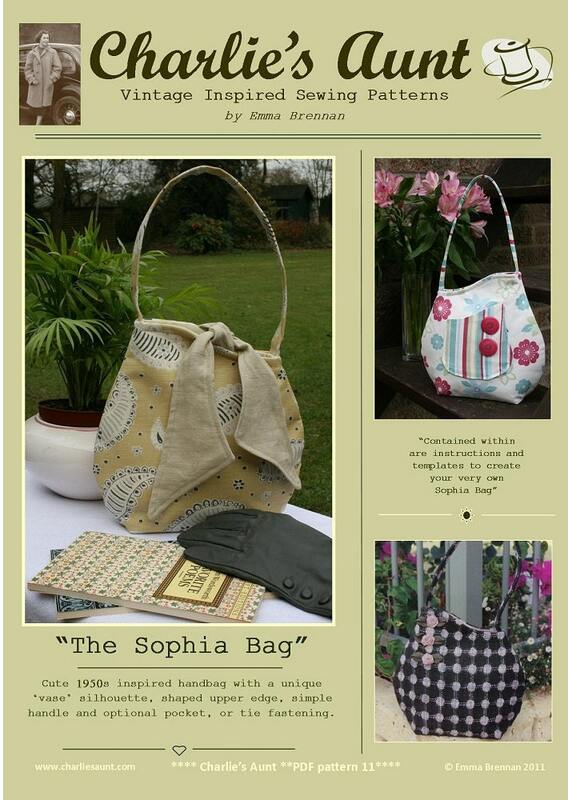 This bag is a reasonable size to use for almost any occasion and can be made up in everything from bright patterned decorator fabrics to plain wools or fancy brocades. 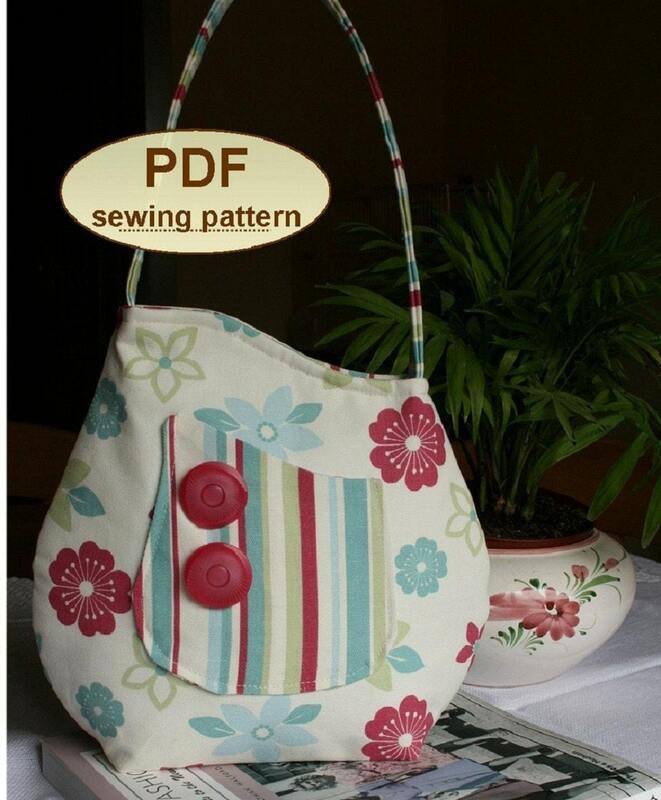 This PDF pattern has 12 pages – 7 pages including photographs, detailed instructions and illustrations, plus 5 pages of full sized pattern templates which you must print on letter (A4) paper and cut out. As the front/back template is too large to fit on one sheet, you must tape the templates together where shown. Instructions for this are very clear. 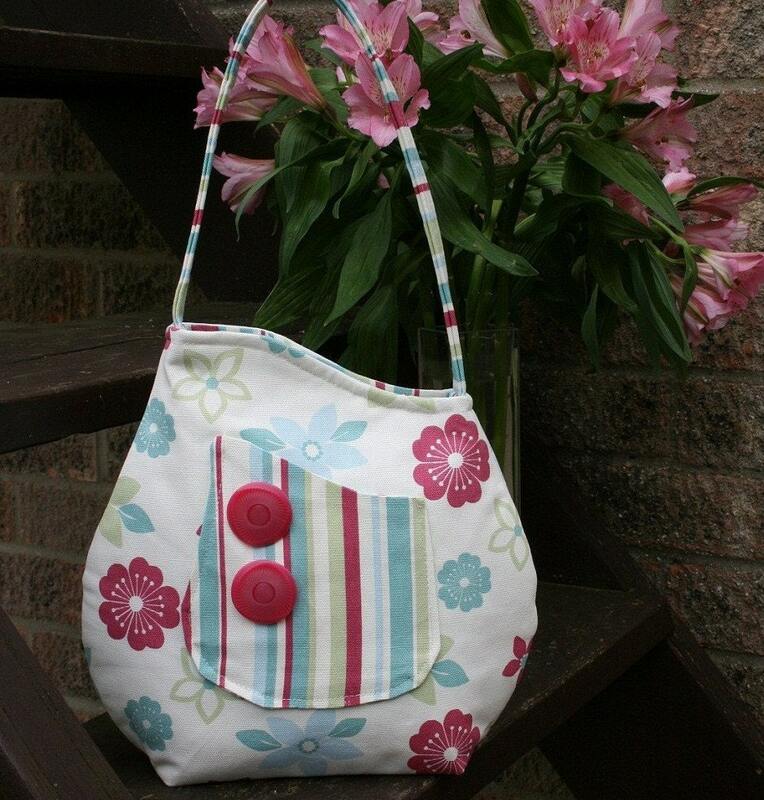 For View 1 with contrasting pocket and handle, you will need approx. 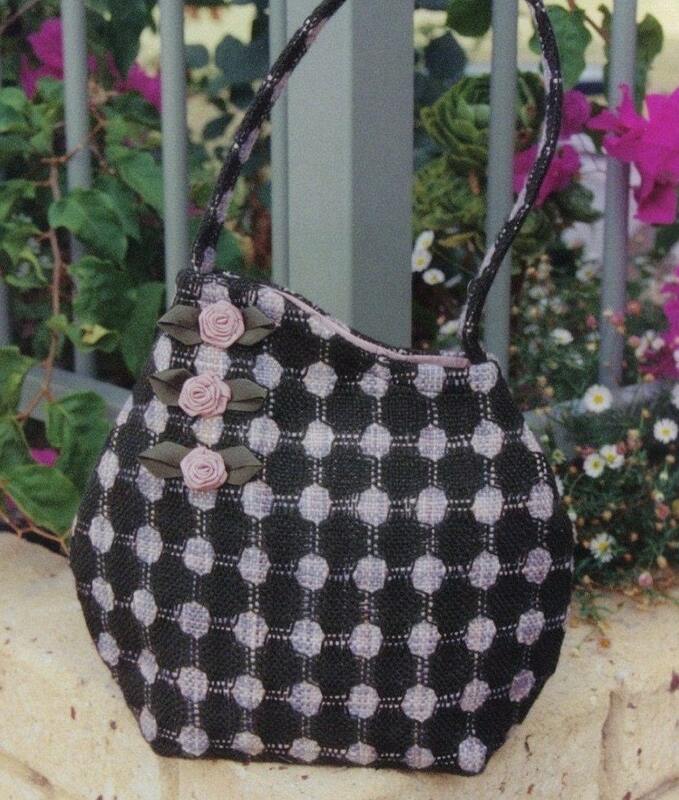 ¼ yard (25cm) of contrasting fabric for the handle/pocket. For View 2 with tie top you will need 7” (18cm) of 36” (92cm) wide contrasting soft fabric for the ties.